Thanks to the caring staff at Valley Children's Hospital, miracles happen every day in the Central Valley. You can help make more miracles happen during the Futures Worth Fighting For Telethon on Thursday, August 9th. 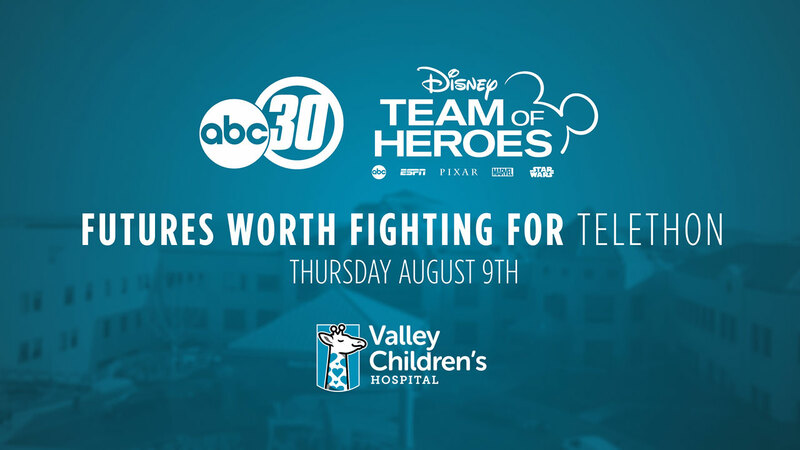 This year, ABC30 and the Disney Team of Heroes are teaming up to match every donation, dollar for dollar, up to $100,000! During the telethon, all you have to do is call 1-877-353-0000 or text MAKEMIRACLES to 51555.